India is set to take steps to protect its cyber infrastructure and designate agencies for carrying out offensive cyber attacks on other countries. Indian Government announce the appointment of first coordinator for The National cyber security agency. Mr. Gulshan Rai , who presently heads the Indian Computer Emergency Response Team (CERT-IN), will be the first coordinator. The move comes at a time when proof shows countries launching cyber attacks not only for intelligence gathering and many nations describing the attacks as an act of war. "The plan is in final stages with certain legal issues being clarified. Among the issues are some objections to the legal powers of the proposed National Critical Information Infrastructure Protection Centre (NCIPC), a command-and-control centre for monitoring the critical infrastructure. NCIPC is to be managed by the technical intelligence agency NTRO (National Technical Research Organisation), and could have all the powers that the CERT-IN has." Times of India Newspaper said. The National Security Council (NSC) headed by Prime Minister Manmohan Singh has already approved the plan and it is to be placed before the CCS for the final approval. 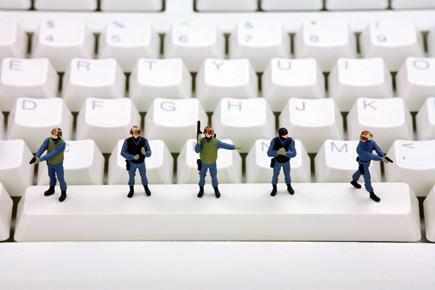 The military would be responsible for protecting its own networks, under the proposed plan. Stuxnet malware was supposed to be created by US's National Security Agency and Israeli military and specifically targeted at Iran's nuclear enrichment center, was found to have infected Indian systems.